Here we would like to make you some suggestions for sightseeing, which your should not miss out on when you are visiting Essen. Of course we would be glad to advise you on your daily planning and hold extensive information material ready for you. Gladly we also organize concert tickets for you. A generous concert hall with breath-robbing acoustics, which had its opening celebration in the summer of 2004. Here international, local and regionally celebrated artists can be seen. Telephone Hotline: 0180/59 59 59 8 (0.12 € / min). The Baldeneysee is a recreation area of supraregional publicity and popularity. Numerous rudder clubs, sailing and surfing school around the 2.7 square kilometer large lake invite to participate in active spare time. Once a year the elite of the German sailers meet for the “Essener week”, the largest German lake Regatta. You can explore and orbit the lake by foot, with inline skates or by bicycle. Or you can go on one of the ships of the “white fleet” and become acquainted with the wooded sea and Ruhr bank from the water. The Villa Hügel, up into the forties domicile of the industrial family Krupp and today scene of high quality art-historical exhibitions, can be easily recognized from the water side and offers itself for a visit. The dome in the center of Essen was built in the 11th century and accommodates one of the most valuable church treasures from the ottonean times today. The oldest full-plastic Marienfigur of the occident – the thousand-year old Madonna – is just one of many highlights to be seen. Each Sunday at 11:45 o’clock a guided tour takes place through the cathedral and the treasure chamber. The Grugapark in Essen, nearby the hectic town center, surely belongs to one of the largest and most beautiful recreational parks in Europe with its 700,000 square meters. Besides a walk along flowering ways, Japanese gardens, past the tropical plant house the park invites visitors to take part in attractive sports and gaming possibilities. You receive a wonderful overview of the entire park area on a round travel with the Gruga train. In the summer concerts attract visitors in the music garden with music from classical periods to pop, people music up to jazz. An attractive event program with open air events, summer celebrations and children events annually inspire young and old. 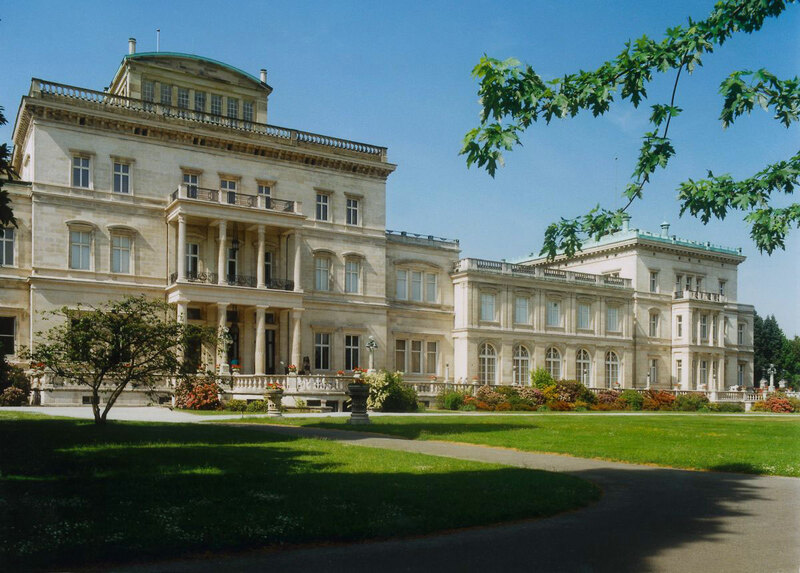 The classicistical residence established from 1868 to 1872 after drafts from Alfred Krupp, consists of 75 hectars of the former house, the guesthouse and a large forest and park. Until 1945 it was the representative domicile of the family Krupp. In the house are valuable tapestries, precious Italian cartridge covers as well as a painting collection of the family Krupp. Top-class international art exhibitions and concerts make the Villa Hügel a cultural center of world format. In the guesthouse the historical collection Krupp as well as a permanent exhibition about “Krupp today” can be seen. 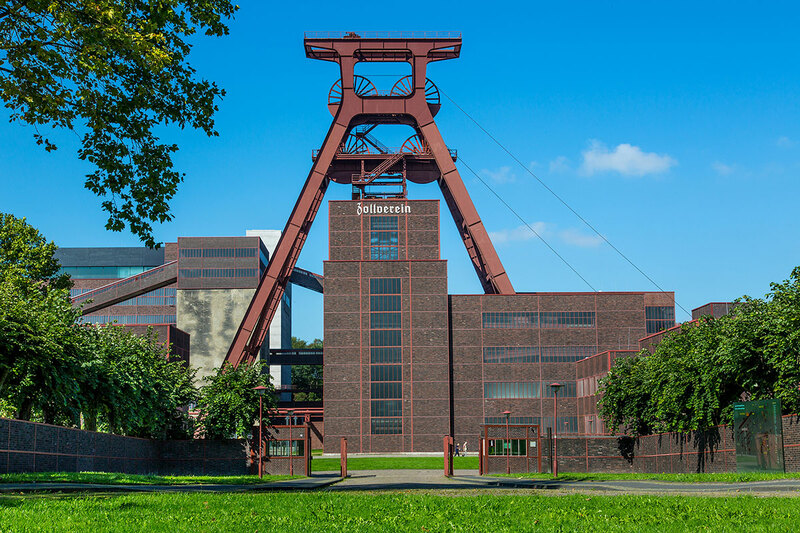 The colliery and coke plant „Zollverein Essen“ was entered in the UNESCO-list of World Heritage Sites on 14.12.2001 and was one of the main anchor points of the „Capital of Culture“ RUHR.2010. The coal mine has been closed in 1986 as the last mine in Essen. The former biggest and greatest hard coal mine of Europe is now an internationally important industrial monument. The areas of the mine which are historically interesting, e.g. the ‘Leseband’- and ‘Wipperhalle’, the rails for mine cars and the coal washing plant, can be visited with guided tours. The “Margarethenhöhe” is a settlement in the style of an English garden city and was established 1910-1931 by George Metz and donated from Margarethe Krupp. A round tour through the picturesque streets of the “Margarethenhöhe”, which was placed under monument protection in 1987, is very recommendable and will inspire you. The “historical-archaeological path” was established in 1995, and was extended to a “monument path” with 33 boards in the city center. This explains the history of disappeared and still existing buildings. The “cheerful medical cabaret” from doctor Stratmann with three parallel running programs has made the European house well-known beyond regional borders and made it a cultural institution. 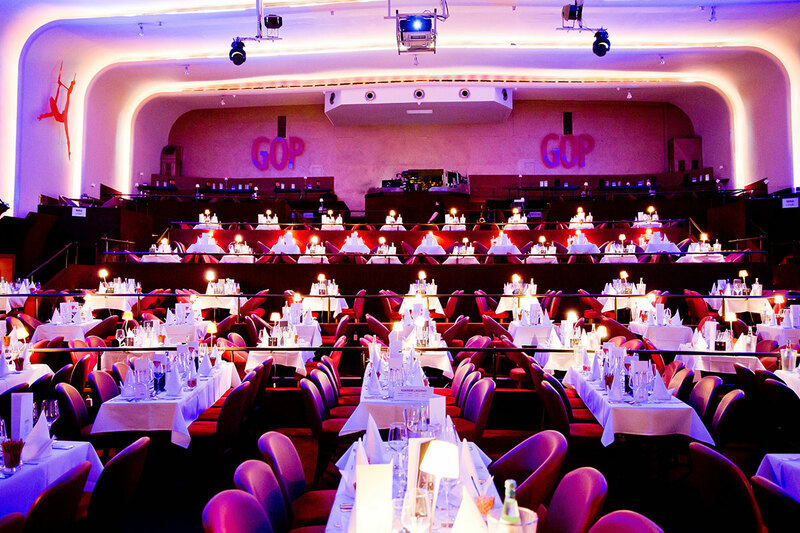 The GOP Varieté-theater in Essen offers a monthly changing and complexly produced live production, in which apart from artist legends always new stars from the international Varieté scene are integrated in the areas of juggling, magic, belly speeches and body acrobatics. At the same time excellent comedy presentations with much speed, joke and charm are provided – a program, simply for being astonished, dreams and laughter.